Health Insurance Products for Children - Maybe elsewhere, there are health insurance that can only be taken away a family. At Allianz, there are 4 health insurance products and all can be taken by individuals, including children without having to include their parents. The four products are: Allisya Care, Maxi Violet, Smartmed Premier, and Rider HSC + in Tapro. All four provide cashless card facility for hospitalization at Allianz partner hospital. Minimum entry age for Allisya Care, Maxi Violet and Smartmed Premier is 15 days, while for HSC + 30 day riders. Then the documents required to register the policy is the Birth Certificate of the child (can be replaced with Birth Certificate from RS) and father / mother ID. For example, the following illustrated the above products with the benefits of a 500 thousand room plan. The child as the insured or the insured person, and the parent (father or mother) as the policyholder. Allisya Care is a pure health insurance with sharia contract. Part of the customer's premium of 65% is allocated to tabarru funds (funds collected together with tabarru from other participants and used to pay claims). While 35% is used as ujrah or cost for companies and commissions for agents. In addition to plan 500, other plans are available: 100, 150, 200, 350, 600, 750, and the highest room 1 million. More about Allisya Care, benefit tables and premium tables for each plan based on age range and gender, can be read in "Allisya Care". The benefits are the same as Allisya Care. Maxi Violet is a nonsyariah version of Allisya Care product. Premium Maxi Violet is more expensive about 5% of Allisya Care because this product provides 20% noclaim bonus if no claim, which cuts the renewal premium. While Allisya Care has a bonus noclaim as well, but the percentage is not guaranteed because it depends on a surplus or not in the previous year. Maxi Violet premium table and table for each plan based on age range and gender, can be read on "Maxi Violet". The advantages of Smartmed Premier is to cover the hospital's expenses according to the bill, as long as the treatment is done in an appropriate room plan (except in the United States). Another plus, receiving cashless facility in some outside countries are Malaysia, Singapore, Thailand, and Cambodia. Beyond that claim can be done by reimburse. Plan 500 is the lowest plan. On it there are 750, 1000, 1500, 2000, 2500, 3000, 4000, 5000, and 6000 plans. Illustration Tapro with HSC + rider. Premium 500 thousand per month, 10 year plan deposit, HSC + plan 500 and there is life insurance and premium exemption. While the benefits table for hospitalization is almost the same as Allisya Care and Maxi Violet, but there are additional treatments for cancer, dialysis, and physiotherapy. In addition to the 500 plan, the Rider HSC + provides 100, 200, 350, 750, 1000, 1250, 1500, 1750, and 2000 planets (2 million per day). More can be read on "Rider HSC +". - Can pay monthly (in this example 500 thousand per month). - There is an investment value, which can be taken if at any time needed. - Can be paid premium in the middle of the road (in this example after 10 years), and protection remains valid as long as the investment value is still sufficient to pay the insurance fee. While other products can not leave the premium. Must pay if you want to be protected. - There is a death benefit, in this small example of 75 million, because the child does not need big UP soul. 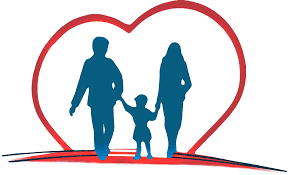 - There are additional benefits of premium waiver if the policyholder (father / mother) suffers from a critical illness, permanent disability, or death. Thereby. Please choose which one is most suitable.